The Woodloft Self-cateringThe Woodloft is a charming holiday home for 2 people, annexed to Fell View, which can also be booked to provide additional accommodation. The rooms are light and airy and being situated in the middle of Elterwater, Woodloft is conveniently close to amenities such as the bus stop and village pub. There are many walks to enjoy from the property if you don't want to always use your car. Other: Bed linen and towels provided. WiFi. There may be some sound transference from attached Fell View. Low beam in living area. The Woodloft offers weekly bookings starting on Saturday. From M6 jct 36, take A591 to Ambleside, follow signs for Langdale and A593, continue until Skelwith Bridge, approximatley 2.5 miles then turn right onto B5343.Continue for a further 2 miles, go over cattle grid and take second turning on left into Elterwater. 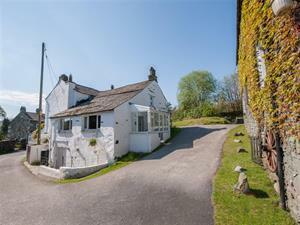 The Good Life Cottage Co. is the first building on the right-hand side, call in to collect the keys.